BONITA SPRINGS, FL – August 17, 2016 - Interactyx, the developer of the TOPYX® Learning Management System (LMS) software, is honored to be named among 50 statewide companies expected to see significant growth over the next several years. 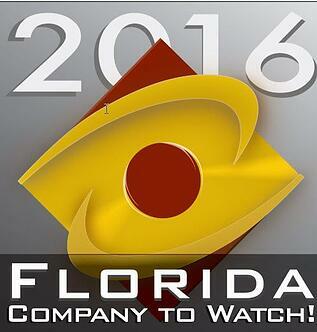 Interactyx was selected from more than 500 nominees for Florida Companies to Watch™, a statewide program managed by economic development group GrowFL, in association with the Edward Lowe Foundation. Interactyx’s team, competitive market position and strong community involvement were among several factors that put them in contention for the award. TOPYX LMS is a fully-hosted, learning management system with no user, data or implementation fees. TOPYX clients include global Fortune 100 public companies, midsize private companies, nonprofits organizations, associations, governmental agencies and educational institutions. Clients choose TOPYX because of its outstanding value, ease of use, engaging peer-to-peer learning tools, and dedicated support teams to provide compliance training, external portals, sales training and other online learning management needs. Companies named to the list will be officially recognized November 3rd at the Hard Rock Live, Universal CityWalk, Orlando, Florida. For more information, visit www.growfl.com/flctw16 and http://topyx.com/lms-benefits/. GrowFL (http://www.growfl.com) provides strategies, resources and support, including strategic research and peer-to-peer CEO mentoring and leadership development, to second-stage Florida companies. Created by the Florida legislature in 2009 and grounded in the philosophy of Economic Gardening® — growing existing businesses in a community, region or state. GrowFL is a critical component of the state’s economic development strategy and Florida’s entrepreneurial ecosystem. GrowFL is certified by the National Center for Economic Gardening through the Edward Lowe Foundation. Interactyx is an Inc. magazine 5000 recognized company for three consecutive years.